I have written a post before about my C-man and how he is considered” special needs“. In the past, I would of said the very same thing but as time progressed and I researched more it became evident that he did. Yes, I know he is not “severe”. Yes, I know I should count my lucky stars that he “just” has ADD and SPD. Believe me. I know. Those that do not have a child at all with any type of special need are usually the first to chime in on this subject. They have no idea what life is like in our home. Even with this “simple” need. I am not one to talk about it much or to even mention it, but sometimes it needs to be talked about. ADD is a special need. SPD is a special need. While a child looks normal on the outside, the inside can be a complete mess. No one knows the struggles my C-man faces on a daily basis. Yes, DAILY. He wants to be “normal”. He wants to be like most kids, and he battles every single day to seem like he is just an average kid. I know he is special. I know he is different. I LOVE that about him. Do we have struggles? Yes. 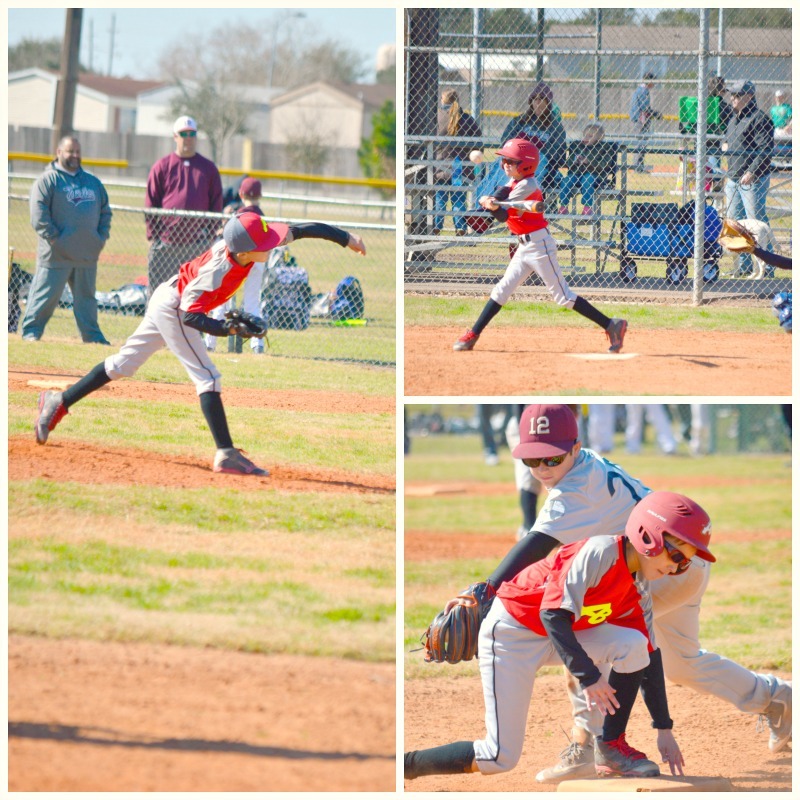 But that is what makes C….well C.
This weekend he had a baseball tournament. If you are new or haven’t been around in a while, our lives revolve around the kids activities and baseball is one of them. C LOVES baseball. With deep, burning passion. He truly wants to play baseball when he grows up, but “just for fun”. He plays for the pure enjoyment of it. Winning is nice, but if you ask him….he just wants to play. 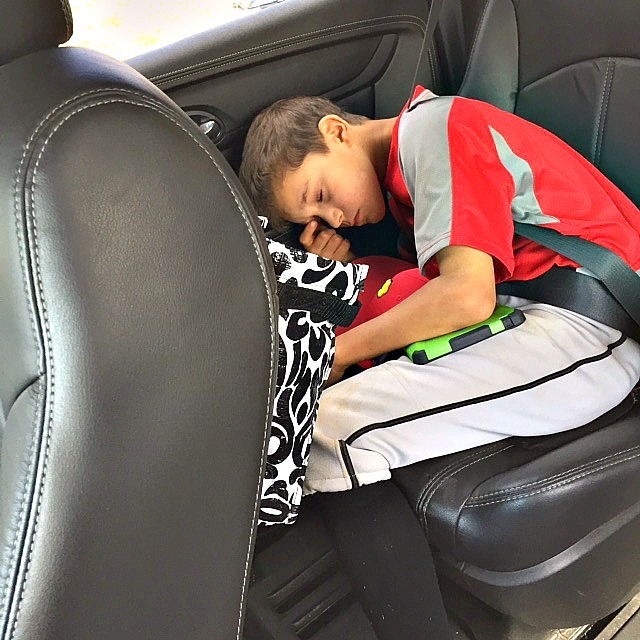 There have been times his team has lost and he immediately asks, “when is our next game?”. He does not dwell on the loss. He is always ready for the next go around. It is one of my favorite qualities about my son. His ability to shrug off a loss and be ready to play the next game. His love. His passion. This weekend we played and we were playing up a level. 10u tournament which mean a bit tougher teams and this particular tournament had a team in it that we all REALLY wanted to beat. It was a rough game. It was a mental game more than a baseball skill game. C pitched great. One of his best games this season already. But things were not going well. I could see it after a few plays, he was getting overwhelmed. Stepping on and off the mound, looking around with a panic in his eyes. I knew he was in sensory overload from all the yelling. Yelling from the stands, the dugout, and even his teammates. It was becoming just too much and C knew this game was important to everyone. He was struggling. My heart was aching. I knew he did not want to be taken off that mound. He knew he could do the job. He just needed a breather. He needed to walk away, breathe, and start again.We all know this is apart of the sport, the yelling and the loud noises and 9 out of 10 times he can deal with it. He has learned techniques from this therapist that help in this, but this day….this game….those techniques were appearing to not be enough. While he pitched a fantastic inning, it was not enough for his team to win the game in the end. When we got into the safety of our car, my C-man broke down. Tears flowed. I made sure to tell him how very proud I was of him. I saw him struggling but more than that, I saw a kid who knew what was at stake and tried his hardest to fight through his own personal struggles and win the game for his team. I also made sure to ask him what he was feeling and what I could do. He told me he was just completely overwhelmed. He KNEW his team wanted that win, more than anything. And he felt like he could give it to them but at the same time he felt completely overwhelmed with what he felt was on the line. He said he tried desperately to tune out everyone but at this particular game it was just too much. My heart aches. He wanted that win, not for himself but for the team he KNEW wanted it. I am not sure what I wanted to accomplish when I started this post. I know I wanted to talk about C and how proud he makes me. How he tries his hardest to not let his “special needs” keep others from what they want. Always thinking of others. But I also wanted to put that out there, that not all kids fit the mold. The mold of what most “special needs” children look like or what you think they look like. Most looks like me and you. Your son or daughter. Sometimes the battles we face are not visible. Please remember that and know the struggle they face. Also remember, that those who are facing the battles are also the ones who will also fight to their last breathe for YOUR battle, not their own. Lori we will keep c man in our prayers I know he is a great kid. And he did an awesome job . Give him hugs and kisses for me.